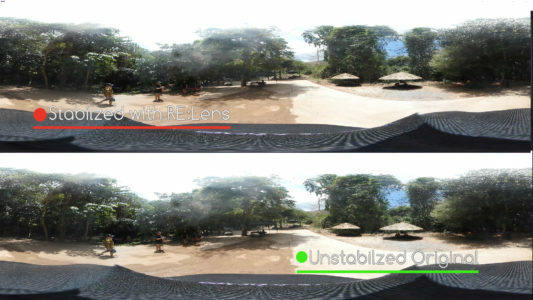 How To: Use RE: Vision Effects, RE:Lens Plugins For Stabilizing 360 VR VideoRE: Vision Effects has come out with a set of tools for 360 video that are unlike anyone else’s offerings.RE: Lens provides us with the following kit:RE:Lens Chromatic AberrationRE:Lens Lens Curved MirrorsRE:Lens DeFishRE:Lens From LatLongRE:Lens ReFrameRE:Lens SuperfishRE:Lens To LatLongToday I am going to show you how to to use the RE: Lens plugin, “To LAtLong”to stabilize 360 VR Video. 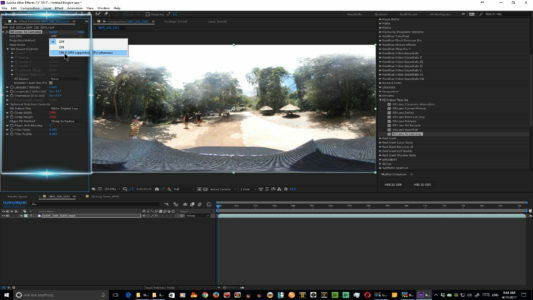 RE: Vision Effects has come out with a set of tools for 360 video that are unlike anyone else’s offerings. 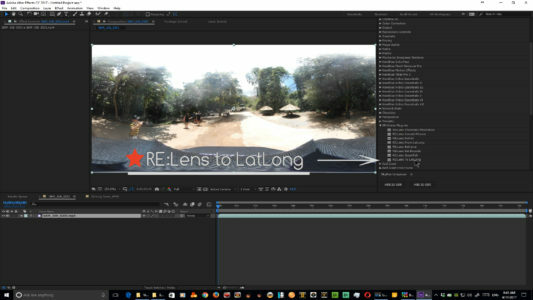 Today I am going to show you how to to use the RE: Lens plugin, “To LAtLong”to stabilize 360 VR Video. 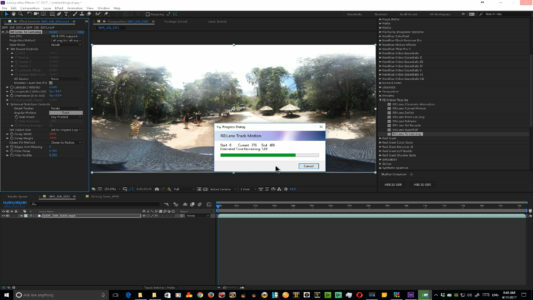 The footage that I’m working with for this is taken In Kanchanaburi Thailand using a rather unusual view from my own version of a 360 Cap-Cam. The Samsung Gear 360 is mounted on top of a black baseball cap. The initial footage is bouncy and if you viewed in a headset, you would more than likely get physically ill pretty quickly. In the video, I walk up to a swarm of butterflies. I will apply the “To LatLong” plugin in order to stabilize the shot. So let’s begin by dragging the plugin on to the clip. By far this is one of the easiest 360 that I have ever seen. I will activate the GPU usage so increase the speed. Then all you need to do to start the process is to go down to the “Spherical Stabilize Controls” open them and this is where you make your only choice. You can use either “Points” or “Patches” to use as the tracker. In most cases, you will get excellent results by using “Points”. Then simply click, “Track” and sit back and let the RE: Lens plugin do its magic. 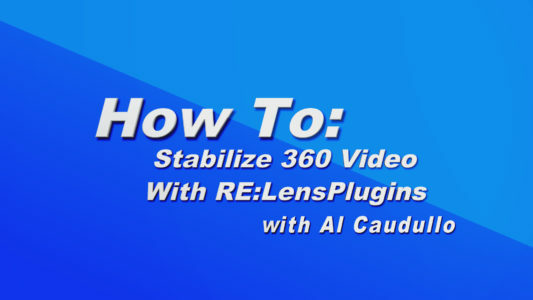 In the video, I have sped up the time it takes to “track” the image for stabilization. Once it finishes, open the Preview and playback the video. The resultant video has transformed from a totally unusable mess to a very cool POV shot. Watch the video to see the difference for yourself. With this plugin in your 360 toolkit you have the ability to go after those creative shots that you wouldn’t dare try before. 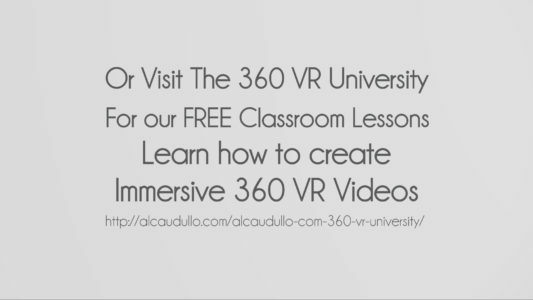 For more information on 360 VR, please visit the 360 VR University.